Rate This Thread - UFO organization based in Cincinnati. The oldest and largest UFO investigating organization in the world now calls Cincinnati home and in August will host as many as 1,000 UFO investigators and others interested in unexplained phenomenon. David MacDonald, president of Lunken Airport-based Flamingo Air charter service, this week was named new international director of the Mutual UFO Network (MUFON), an international organization with 3,000 members in 39 countries. A member of MUFON since 2008, MacDonald, who lives in Florence, has served as Kentucky state chapter director. He succeeds retiring international director Clifford Clift who lived in Greeley, Colo.
MUFON has a network of 800 trained and certified investigators who scientifically research reports of unidentified flying objects. The reports are compiled in MUFON’s data base of more than 33,000 sightings. It also publishes the monthly MUFON Journal. MUFON will hold its annual International Symposium featuring speakers and workshops on UFOs Aug-3-5 at the Marriott Riverfront in Covington. 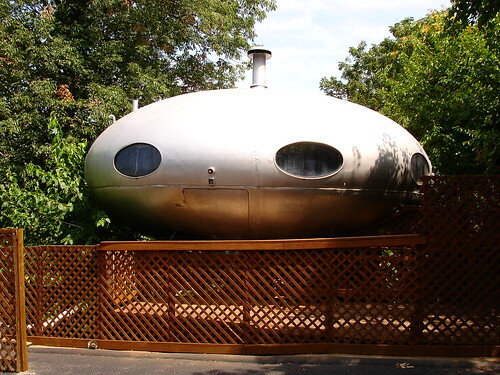 Although founded in 1969 in Illinois as the Midwest UFO Network, the organization has been based for years in Colorado and other western states. “This is a perfect location for MUFON because we’re centrally located,” said MacDonald. He estimated the organization has a few hundred members in Ohio, Kentucky and Indiana. MacDonald, 65, said he’s been hooked on the subject since he read his first book about flying saucers as an eight-year old. “Ninety-two percent of the the UFO reports can be easily explained, but its that eight percent that you can’t explain that keeps you coming back,” said MacDonald. He said the organization logs an average of 600 UFO reports a month. A licensed pilot, MacDonald said he’s never seen a UFO. MUFON’s office will be in Lunken Airport’s south terminal wing. MacDonald said he’ll have one paid staff person in the office.